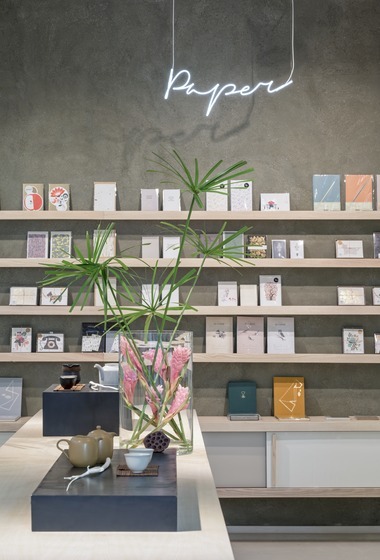 In October 2014, P & T opend its second store in Berlin-Mitte, innovatively building on its existing brand philosophy: allowing modern consumers to discover tea through a unique retail experience. 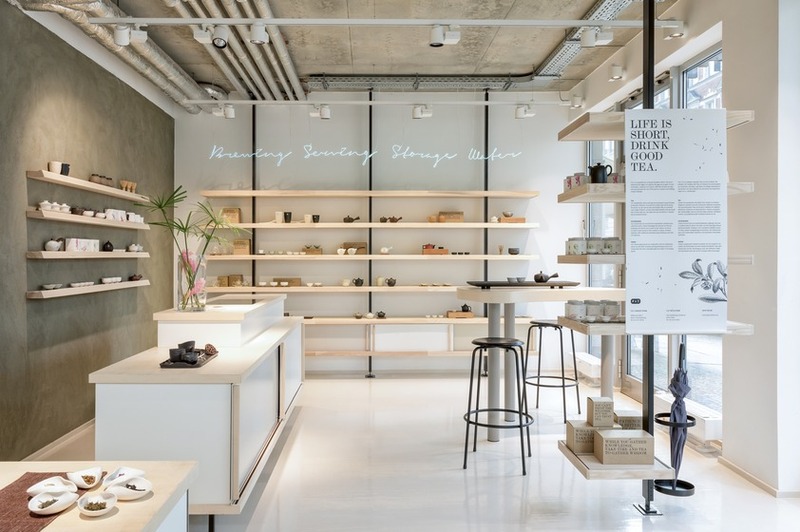 The systematic way of presenting products, developed for the original concept store, has been adapted to match the fast-paced environment of the Alte Schönhauser Strasse. 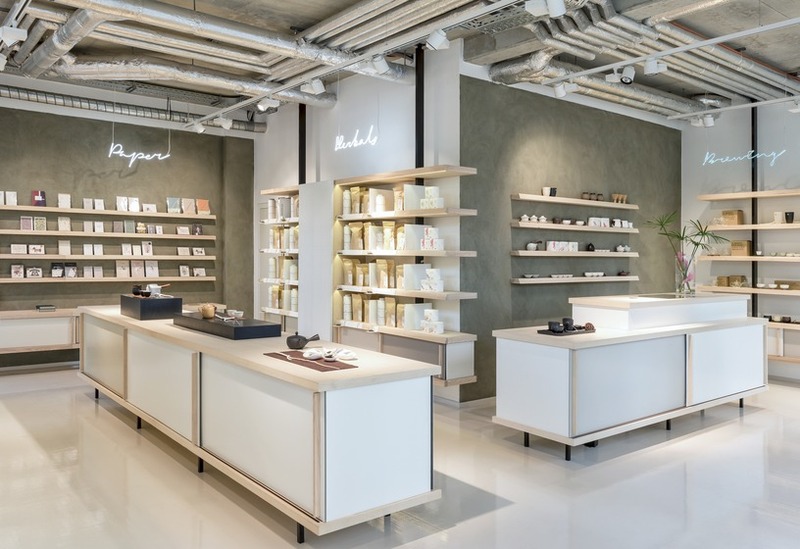 The store engages with its location in Berlin-Mitte and reflects the pace, style and personality of the people that live here and visit the area every day. The brand space adapts to the local environment and retains a certain dynamic. 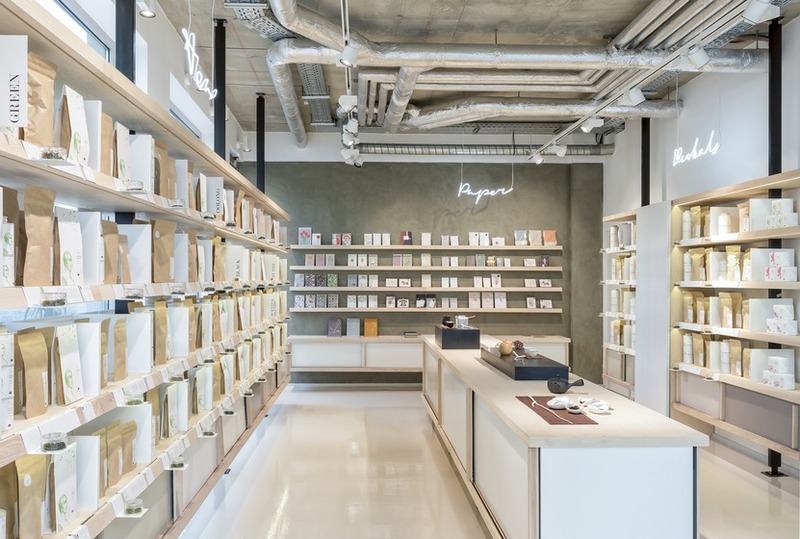 Teas are systematically organized by oxidation – including white, green, yellow, oolong, black, pu-erh and scented and blended teas – and origin along the store’s main feature: a seven meter long tea shelf. The store also features a special section devoted entirely to herbals. Teas are presented with short description texts that also mention each tea’s aroma notes. Small glass dishes containing the dry tea leaf allow visitors to smell and inspect each tea before buying it. A further section is devoted to P & T’s collection of authentic tea accessories. These are categorized by fluorescent neon lettering into Brewing Serving Storage and Water. The selection of handmade paper products comprises notebooks, greeting cards and original origami accessories. A changing selection of teas will be prepared in the style of gong fu by knowledgeable teaists at the specially developed “Tea Bar” and handed out to customers, thereby rounding off the unique, sensuous shopping experience.